A small town in southern Germany was the scene of a meeting of minds between two members of the Catholic church in the 1960s. Theologian Hans Küng invited his colleague Josef Ratzinger to Tübingen to teach at the university’s Catholic faculty. Shocked by the student revolt of 1968 Ratzinger became increasingly conservative. He also became Pope Benedict XVI 4 decades later. His boss at the time, Hans Küng, went on to be described as the “super-star of European theology” becoming an arch-critic of church hierarchy, calling for an end to celibacy, and the acceptance of contraception. Küng and Ratzinger both took part in the second Vatican council, the biggest shake-up of the Catholic church of the 20th century, marking an overture to the modern world, and dialogue with other religions and convictions. But what does Küng think of the controversy stirred up recently by his former employee? euronews : Benedict the 16th welcoming back into the Catholic fold the integrists of the Saint Pius the 10th fraternity triggered a storm of indignation in the Catholic world. Can someone who doubts the Holocaust happened be a member of the Catholic church? Hans Küng, Theologian: I don’t think a holocaust denier can stay in the catholic church, no. The murder of six million human beings, Jews, is the biggest crime in the history of humanity. During the Second Vatican council I was already suggesting that the Nazi’s antisemitism had its roots in the antisemitism that could be found in all the Christian religions, including the Protestant church. Luther was anything but a friend of the Jews. So the Christian churches and all Christians share a great historical guilt towards the Jewish people. However, in the interests of justice I should add that the principle of tolerance should also be applied by Jews. Israel, which defines itself as a Jewish state, has to prove it can be tolerant towards the Arabs, and must accept that the Palestinians should be allowed to build their own state at last. euronews: Bishops retire at 75, and Cardinals at 80. The Pope is 82. Should he retire, if that is possible? Hans Küng: I wouldn’t advise him to. It’s more a question of an entirely dysfunctional hierarchical system. The Pope doesn’t even have a cabinet or government to advise him. The Pope decides and does everything himself, on his own. That’s no way to govern in the 21st century. Every decision that needs to be taken within the church depends on the Pope, unfortunately. We’re stuck in an absolutist system comparable to the court of Louis the 14th. euronews: Is the damage to Jewish-Catholic relations irreparable? Küng: Irreparable, no. But we have to recognise the damage is durable. I’m in close contact with a Rabbi in Berlin who tells me, ‘We can’t repair the damage overnight’. People no longer trust the Pope. And it’s the same state of affairs for Muslims. I have noticed that many of the highest-profile leaders in the Muslim community, from the Mosque or the general community, are starting to be wary, saying ‘We can’t trust him anymore to establish dialogue as a religious mediator’. euronews: You are one of the architects of the second Vatican Council, and took part in it yourself. Do you think there is a risk today that the Church is going backwards, heading towards the middle ages, and that the Vatican II reforms are being called into question? Küng: Yes, absolutely. The Catholic church is once again taking a course towards reaction, anti-modernism, and the middle ages. 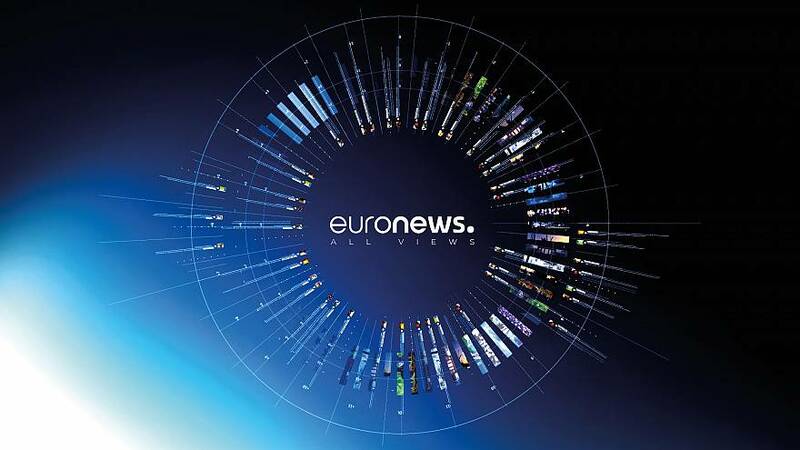 euronews: Why do you think Vatican II is still important today, and what must be saved from it? Küng: Before Vatican II the Catholic church had, basically, stopped the clock in the Roman Catholicism of the Middle Ages. We fought against reform. We organised reaction, and the Catholic church was at war with the modern world. In this context, Vatican II was very important. It was a real combat to firmly establish religious freedom, and freedom of conscience. It was very exciting, and at the time Josef Ratzinger and I shared the same ideas and thoughts. The consequences of Vatican II were immense and historic. For the first time a dialogue was opened with the Jewish faith. Before, our relationship had been poisonous. A similar process was engaged with Muslims, and with all the world’s great religions. Modern science was also reviewed and seen in a favourable light, as was modern culture, democracy, and human rights. Quite a lot of things, as you can see. If we cancelled all that, the church would change into a fortified citadel, and trigger the exodus of all those who do not want a return to the past. euronews: The Pope has just visited Africa. If we look at the headlines it generated in the international press, notably in France and Germany, they were very critical about his statements on AIDS and contraception. What are the conclusions you draw from his Africa trip? Küng: The Pope is without any doubt a figure who embodies hope in the fight against corrupt dictators and regimes, and this is why I am saddened. The Pope didn’t seize the opportunity to tell people reasonable family planning and sensible contraception is justified. euronews: How should the relationship between Christianity and Islam be managed? Küng: Right from the start Benedict got off on the wrong foot. In his speech in Regensburg he accused Islam of being a religion of violence. He has since corrected this, he’s accepted an invitiation to visit Turkey, he’s expressed a positive view on a joint draft on a Christian-Muslim document. These are all steps in the right direction. euronews: Since the second Vatican council, the Catholic church has accepted, to put it simply, a separation between church and state. That’s not always the case in Islam. Does that pose a problem? Küng: The Catholic church didn’t accept the idea of human rights and tolerance, in a positive way, right up to the era of Pope John the 23rd and the second Vatican council. The Catholic church needed an enormous amount of time to get there. So we need to understand that Muslims too need plenty of time. But today, there are positive signs regarding the separation of church and state – in Turkey for example. It’s vital that Islam finds a new model to redefine the relationship between religion on the one hand, and the state on the other.